The Brasil Foodservice, designed in partnership with ABIEPAN and Apex-Brasil, takes your company to new markets. The Agency carries out diversified commercial promotion actions aimed at promoting exports and enhancing Brazilian products and services abroad. Take a look on "Portal Vitrine do Exportador". 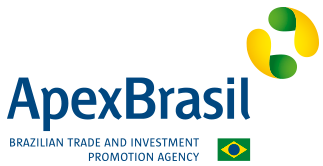 This portal aims to promote Brazilian companies and their products in the international market. It is a communication tool, developed in simple format and easy to search. By means of the available filters it is possible to select the "Activity Sector". Foreign buyers visits in Brasil. The guide contents, among many other items, four basic issues about brazilian export process as: why, what, where and how to export. with explanations and guidance on the steps and advantages of export activity.